In the year 1551 the last Catholic bishop of Iceland Jón Arason was beheaded in the North of the country for refusing to convert to Protestantism and recognize the Danish king. With the beheading, the history of the Catholic Church in Iceland came to an end. For the next three hundred years, there ceased to be Catholics in Iceland. Things started to change on the 5th June 1849, when Denmark got a new constitution and for the first time religious freedom became part of this new constitution. Due to the specific political situation in the nation, the provisions of civil liberties and religious freedom in particular that were found in the Danish constitution did not appear as attractive in Iceland as one could have expected. The political development at the national meeting of 1851 culminated in a clash between the Icelandic political elite and the Danish government representative; thus provisions of religious freedom did not materialize in Iceland until a new constitution was passed in 1874. As a consequence, decrees from 1786 and 1787 were still in force that stated that religious practices other than evangelical Lutheran was not allowed outside the larger villages/cities and any missionary work or preaching was altogether forbidden. At this time the Icelandic population lived in the rural areas and the limited permission for other religious practices was originally intended for foreigners..
Iceland in the mid-19th Century did not constitute a fertile soil to sow the seeds of a new faith. The public and practically all social institution guarded, albeit for different reasons, the hegemony of the evangelical Lutheran church and all challenges to this hegemony were seen as a threat to national unity and the process of nation building. Still, in spite of the official ban on preaching other religious beliefs that the Lutheran, it seems that the few persons that actually did practice other religious teachings throughout the 19th Century did receive any real punishment. Rather, both church leaders and the civil authorities seem to have tried to reason these people and steer them onto the right path. Indeed, in the middle of the century, only two attempts or challenges were made to the hegemony of the Lutheran Church. 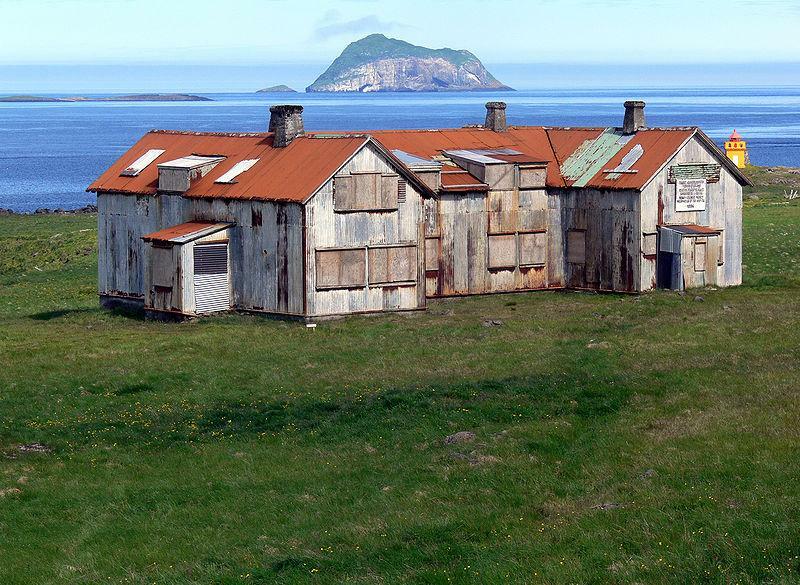 One was a Mormon mission that principally originated in the 1850s in one converted individual in Vestmannaeyjar, just south of the shores of the mainland. This mission had some success in the islands, but the reaction of the church and Icelandic government administration was to attempt to isolate the “danger” by hindering its spread to the mainland, and put the Mormon deviation in a kind of “quarantine” (Pétur Pétursson 1990). However, the Mormon movement never really constituted a real threat to the religious and cultural establishment, as most of the converted people had their eyes and interests focused on Mormon colonies abroad and practically all of them emigrated to Utah in the USA during the latter part of the century. The other challenge was the Catholic Church, which in the late 1850s sent missionaries to Iceland, to begin with a Catholic priest and an assistant. The proclaimed purpose of their stay in Iceland was to service the thousands of French seamen that were fishing for cod in Icelandic waters. In the mid-19th Century and indeed throughout the 1800s and into the first decades of the 20th Century, thousands of French seamen were fishing in Icelandic wasters, often experiencing harsh living conditions both in terms of material and spiritual wellbeing. It seems that although the official and most visible purpose of the Catholic mission was to attend to the French sailors, the mission was to reclaim Iceland to the Catholic faith. But in spite of the construction of a relatively plausible strategy to this end, the Icelandic conditions and lack of support by the head of the mission Stepan Stephanovic Dzunkovskij made the beginning very difficult. In 1854 the Catholic Church founded the “North Pole Mission” with the intention to regain the Scandinavian countries, including Iceland, Greenland, the Faeroe Islands and the Polar region of North America for the Catholic faith. In charge of the mission was Stepan Stephanovic Dzunkovskij. He was a Russian aristocrat who had converted to Catholicism. After visiting different Scandinavian countries, he suggested to the Propaganda fide – the institution in Rome responsible for missionary work – to unite the Scandinavian countries to one apostolic prefecture. An apostolic prefecture is an area designed for missionary work by the Vatican. Dzunkovskij was nominated as the prefect for the mission. He succeeded in finding six priests willing to work as missionaries in the North. One of them was the French priest Bernard. Bernard appears be the first Catholic priest setting foot on Iceland after the Reformation. Some of Bernard’s letters from Iceland have survived. In one of his first letters, addressed to the head of the mission and dating 1st September 1857, written in “Seydesfjord” (sic), Bernard describes with optimism the possibilities for his work. He starts the letter by letting Dzunkovskij know that father Oddenino, the Italian priest that came with Bernard to Iceland, had turned around and taken the same boat back to the Continent. He would consider coming back if they had at least a house to stay. Bernard was at the beginning not alone, “Olaf Gunlegson” (sic) stayed with him for two months to teach him the basic of Icelandic language and to help him to make contact with the Icelandic people. Gunnlaugsson left then and, according to Bernhard, intended to go to the Catholic university in Munich and become member of the Propaganda fide. However, in September, Gunnlaugsson was in Rome where he published a memorandum for the mission in Iceland. Bernard pointed out in this letter the problems the mission was facing, like the Icelandic law forbidding the practice of any other religion than the “Lutheran and Judaism”, this is what the “syslemann (sic)” Mr. Thorstenson and Jonson had told him in an official conversation. It might well be – he kept on writing – that it could be accepted to practice the Catholic rites for the Catholics. But he was told that he is not free to celebrate the mass openly. The reason Bernard gave to the local population for being there were the French fishermen. Between 2000 and 3000 came each summer to fish around the cost of Iceland for cod. He underlines that there are often cases of sickness and death and the “poor ones are without any help, and the dead ones buried right and left by protestant priests”. Already in his first letter the plan is mentioned to build a hospital for the seafarer, a hospital which would also justify their presence. He was staying in Seydisfjord with Mr Poppe, representing the company Örum and Wulff in Copenhagen; renting one room in the house. It was the only room he could find in the East of Iceland. He concluded that he has to focus on learning the language and getting a house for himself. He was scared celebrating publicly the service and trying to missionize since he might get stopped by the authorities. “If I have a house I would be free to do inside whatever I want”. He was also thinking about opening a school in the East of Iceland and starting to educate the youngsters, which also would allow him to interact with the local population. According to Bernard, there was no school in the East of Iceland and therefore the local population might be happy about it. He also explains why “Seydisfjord” was a good place for the mission, since there were enough people living there and there was a connection to Europe by boat, due to the fishermen and other vessels. He once again reminded his superior the reason why he was in Iceland, i.e. to bring the faith in a country where no religious freedom exist “except for Jews and Lutherans”, so for the time he contented himself to studying theology, history of the Catholic Church and the Icelandic language in order “to destroy the prejudice which exist around me (…) and try to gain confidence around me”. He had no money and not even letters with a little bit of advice had reached him. He was not optimistic about succeeding with the mission if the circumstances will not change. He again repeats what he already pointed out in the first letter, that he was not trying to openly convert the people for the Catholic Church, because, as he wrote, it had been agreed that he would present himself in Iceland acting for the French fishermen. Therefore it was paramount that a building materialised as soon as possible. He pointed out that some people already suspected that he was not only in Iceland in order to help his compatriots and that the Lutheran bishop in Reykjavik gave special instructions to his priests with warnings, while a small brochure had been printed in Eyjafjörd in 1857 by the protestant priest Hallgrimson in order to warn the people against the “wolves” coming to the countries to devour and reminding the priests and the authorities of their task. And he further explained that an anonymous letter in Norðri (a monthly journal) came up with the idea that his coming to Iceland was a Jesuit move. And he continued: “Nevertheless the syslemaner (sic) received me in the North”. The most important thing, he underlines once more, is to acquire a home. He explained further what was the best way to send him money and he asked if he could also get some religious books and leaflets, since he had nothing to give to these people here. The optimism of Dzunkovskij was not shared by Bernard. In August he still hasn’t received any funding and in a letter dated 20th August 1858 he recapitulated his experience. There is no address on the letter and it is not clear to whom exactly it is addressed, but the context might suggest a Belgian church member, since for the first time he mentions not only the French but also the Belgian fishermen. Again he talked about the big number of 240 to 300 boats in the bay with French and Belgian fisherman and the lack of living space, which could otherwise allow them to teach children and attract people. He explained that they welcomed in their one room “our poor compatriots, who were sick, and took care of them as far as we could. We offer to some of them the sacraments and bury their dead.” At the end he pointed out that the ship owners in France and Belgium should support them to build up a home in Iceland, since otherwise thousands of Catholics, whom they were sending to Iceland, would be without spiritual and material help. Still, nothing seemed to be happening and Bernard started to take the things into his own hands and decided to go to France in order to negotiate directly with the ship owners. In a letter from the 14th September 1858 written in Dunkerque, Bernard explains that he had left on the 24th August to France on one of the 13 boats leaving on that day from Seydisfjord. He also announces that he left Baudoin alone at his post. He reminds him again of their financial problems. He seemed to have a new plan, since he proposes now to buy a farm, which is on sale: “400 sheep, 7 cows and 10 horses, all Personnel would be available, even a small forge and a mill, with peat”. Peat, as he explains to his reader, is important in a country without coal and wood. He would need about 30,000 Francs in order to buy the farm. This would be around 60,000 euros today. The farm would be in the bay of Seydisfjord. He is asking for the money. He keeps on reminding how much they are needed there also for “our poor French fisherman” and their urgent needs for their bodies and spirits. He comes again up with the idea for funding a hospital in Iceland . He further points out in the letter that the French sailors should be better supervised, since their disorderly behaviour creates prejudices among the locals. He is waiting in Dunkerque for money, since he even does not have enough funds to return to his diocese in Reims or Anvers, where he wants to spend the winter before hopefully going back in the spring to Iceland. It will take until 1903 before his dream is realised and a hospital is built for the French sailors. Franz Kalde: Diözesane und quasidiözesane Teilkirchen, in: Joseph Listl / Heribert Schmitz (Hg. ): Handbuch des katholischen Kirchenrechts, 2. grundlegend neubearbeitete Auflage, Regensburg 1999, S. 420ff., insbes. S. 423. Skjalasafn kaþólsku kirkjunnar 1. A. I (1855-1869). All the letters are written in French and translated by Markus Meckl. The letters have been obtained by the Catholic Church in Iceland from the Archives of Propaganda de Fide. Ólafur Gunnlaugsson,(1831- which might have been the first Icelander converting to the Catholic church after reformation. He did so in 1856 and supported the mission at the beginning. Saga published the memorandum which Gunnlaugsson wrote in September 1857 in Rom for the mission, Saga, 1975, pp. 227-239. Since 1855 was it allowed for Jews to settle in Iceland, but not before 1906 a Jew would settle in Iceland. See: Markus Meckl, Island, in: Handbuch des Antisemitismus. Judenfeindschaft in Geschichte und Gegenwart, hrsg. Wolfgang Benz., S. 164-165. The french writer Pierre Loti describes the lives of these fishermen in the novelle: Pecheur d‘Islande, 1886. Skjalasafn kaþólsku kirkjunnar 1. A. I (1855-1869). Skjalasafn kaþólsku kirkjunnar 1. A. II (1855-1869). Letter from 17th May 1858, Skjalasafn kaþólsku kirkjunnar 1. A. II (1855-1869).